Former Army Ranger Alejandro Villanueva was the ONLY Steeler to come out for the National Anthem on Sunday. He stood in the tunnel while the rest of the team hid in the locker room like disrespectful cowards. Villanueva stood with his hand over his heart and sang along with pride during the National Anthem. The 28-year-old former Army Ranger is a bronze star recipient and served three tours in Afghanistan. Steelers coach Mike Tomlin said he noticed Villanueva during a preseason game because of the way he stood during the National Anthem, according to an article in NFL.com. Imagine being Villanueva. He fought for this country and then has to play side by side with teammates who blatantly disrespect his service and the flag. 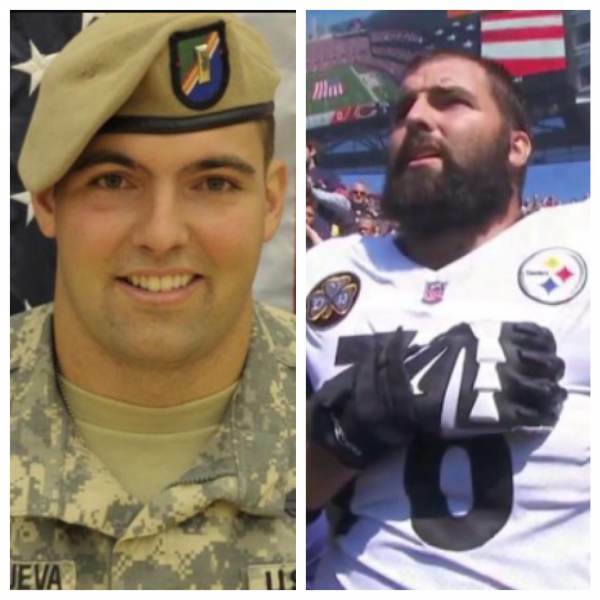 Villanueva captured the hearts of Americans on Sunday after photos and videos of the former Army Ranger standing for the National Anthem in the tunnel all by himself went viral. ESPN is reporting that over the past 24 hours, more Villanueva gear has been ordered than any other player! A spokesman for Fanatics, which runs the NFL’s online store, confirmed to ESPN that, over the past 24 hours, more Villanueva gear, including jerseys and name and number T-shirts, has been ordered than that of any other NFL player. Villanueva beat out New England Patriots quarterback Tom Brady for the top spot. 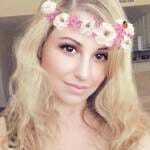 Philadelphia Eaglesquarterback Carson Wentz, Dallas Cowboys quarterback Dak Prescott and Green Bay Packers quarterback Aaron Rodgers rounded out the top five over the past day. Both the NFL Shop and Fanatics websites had Villanueva jerseys and T-shirts in men’s and women’s sizes. Pittsburgh Steelers head coach Mike Tomlin told reporters after the team lost on Sunday that he did not want Army Ranger veteran Alejandro Villanueva to stand for the national anthem. What does he have to say now that Villanueva is loved by so many Americans for deciding to stand for the anthem even though he was told not to?